△83″,98″,138″working width allows heat transfer printing all fabric widths or two side by side. GRAND FORMAT 12 ft. WIDE! All heat press machines are strictly tested before shipping out. 1) Turn on the heat transfer machine. 1) One-year warrantys on machines & parts. 1.Good Printing Effects :The main wall panel and all rollers are elaborately made and reinforced. 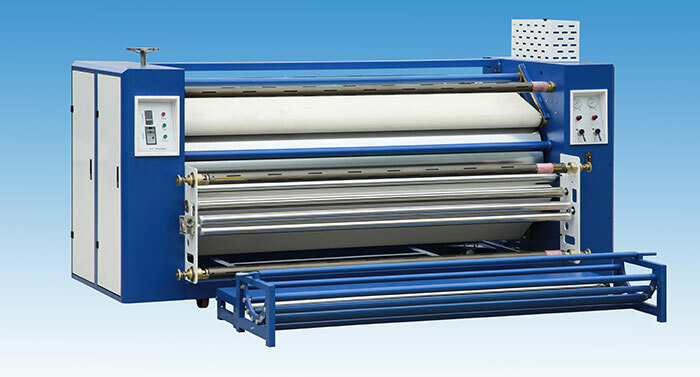 2.High Equipment Configuration:Pneumatic pressurizing by rollers enables flexible control of the volume of pressure and the use of single or double rollers. 4.Placing and taking are integrated into the overall production. Paper and cloth move accurately in parallel without offset. A compact labor-saving device with high overall yields. 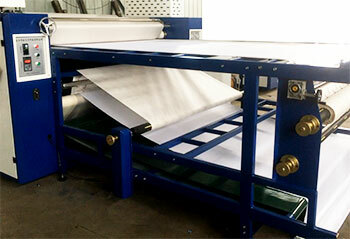 *This machine can be used for both roll material and sheet material heat transferring. 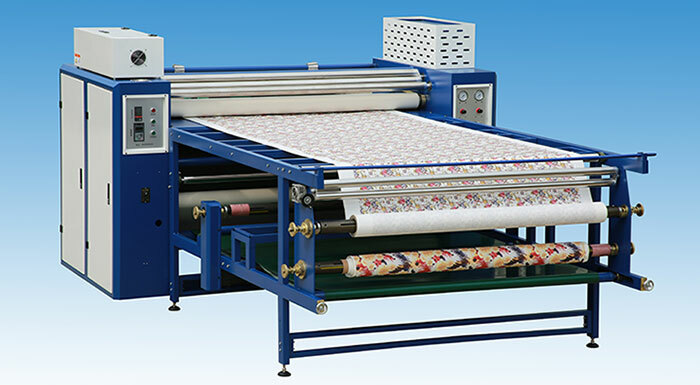 *It is suitable for sublimation transfer large banners,flags,T-shirt,nonwoven fabrics,apparel fabrics,towels,blankets,mouse pads and other products in the piece, especially the continuous transfer of the cloth. *Capable of continuous printing speed, to meet the needs of large volume printing the customer?